Orly wants to find a husband and to be married. The Biblical Chana wanted to have a baby. What do these two women have in common? Perhaps the main thing they share is their focus on Rosh Hashanah and their determination to influence the divine decision-making process. Orly Wahba has become somewhat of an Internet sensation these last six weeks since she arrrived in Israel on the 15th of Av and committed herself to 40 days of prayer at the Kotel, beseeching the heavens to facilitate her request to be able to meet and identify the man she is intended to spend her life with and with whom she hopes to raise a family. 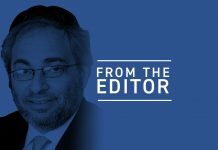 I stumbled across what Orly refers to as the “Kotel Challenge” — that is, the belief that whatever you pray for at the Western Wall for 40 consecutive days will push the hand of G-d and even, if you can imagine, force His hand to defer to your will. Orly Wahba lives in Israel today, but as you can tell by her slight regional tone and inflection, she hails from Brooklyn — specifically the Sephardic Jewish community in the Ocean Parkway area. When she lived in New York, Orly was a teacher at Yeshiva of Flatbush. She is 35 years old, and she is seeking to sway the Divine so her intended, her future husband, is identified and comes forward. Orly decided that if she has not found her bashert yet, it is time to do everything within her power to make it happen. Day after day, I viewed Orly’s transmissions from the Kotel. At first I thought they were interesting, a fairly good gimmick, but as I continued to watch they became riveting, emotional, and captivating. This past Tuesday was her 40th day of davening at least three hours a day at the Kotel. Early Wednesday morning, I spoke to Orly by phone in her apartment in Jerusalem. We spoke about her decision to go public in her effort to find her match. “Of course, some of my friends thought that I was going to appear as being in a desperate situation by some, but I don’t think so,” Orly said. 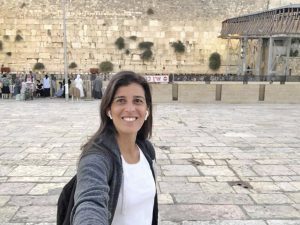 She explained that she has a cousin in the United States who shared the idea of 40 days of prayer at the Kotel and for whom the project worked. The cousin found her husband shortly after the 40 days had elapsed. She said that even though she hasn’t had a date yet as a result of her prayer for her zivug, she is very confident that she has been successful. Orly explained that prayer moves worlds, and while she cannot say specifically yet what her efforts have accomplished, she is confident that the outcome will be positive and fruitful. Over the last 40 days the daily prayers at the Kotel were not exclusively about her or what she needs for herself. “I’ve connected with and had the opportunity to daven for many hundreds of people around the world,” she said, adding that her 40-day challenge has developed friendships across the globe. On Wednesday morning. Orly announced the introduction of the “Abraham’s Legacy” app which matches people to pray together. Next week on Rosh Hashanah, we will read the haftarah about the Biblical Chana and how she prayed so determinedly and forcefully for Hashem to grant her a son, which resulted in the birth of Shmuel HaNavi, the prophet Samuel. Chana’s focus and concentration in prayer, as the haftarah explains, was initially misunderstood even by Kohen Gadol Eli. 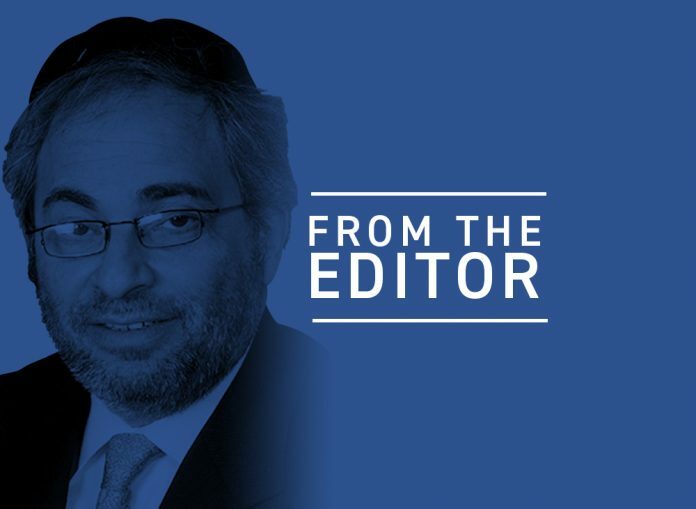 Her style of prayer, as the Talmud tells us, is still the barometer for exemplary prayer, demonstrating how davening can indeed be employed to connect us and open up the channels to Hashem. So what happens now? She isn’t sure, though she is confident that her tefillos will be successful. Before we concluded our phone conversation, she said she had not told anyone yet, but on Tuesday she received an email from a young man from Columbus, Ohio, who is about her age. He said he has been following her on Facebook and that he was both moved and inspired by her efforts. He wrote that about half a year ago, he booked a trip to Israel for October 5. At the time he was not sure why, and he has no planned itinerary. He said that when he is in Israel he would like very much to have the opportunity to meet her. The power of prayer? Stay tuned.